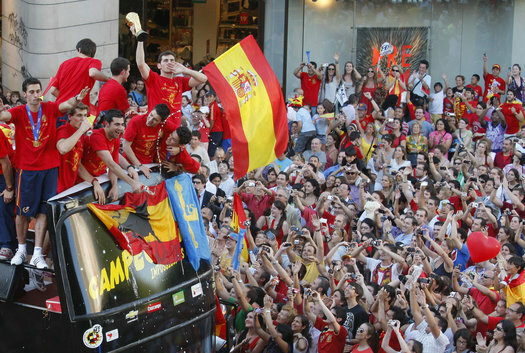 This week’s post is a bit more of a Hit and Run, but I figured with all of the hype around the All Star break, mayyyybe we should mention the fact that SPAIN WON THE WORLD CUP!!! 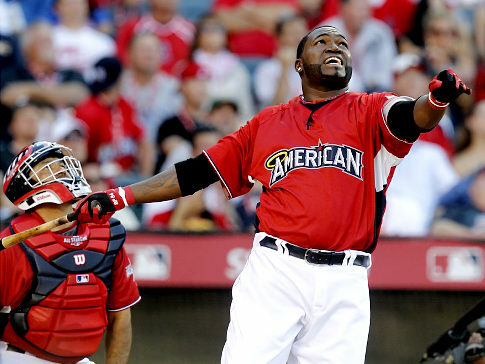 Congrats to España, and also to Big Papi, who somehow managed to be pitted against Hanley Ramwhinerez and beat him in the final round of this year’s Home Run Derby 11-5. One sentence. That’s all it took. Manny Ramirez and David Ortiz, the sluggers who propelled the Boston Red Sox to end an 86-year World Series championship drought and to capture another title three years later, were among the roughly 100 Major League Baseball players to test positive for performance-enhancing drugs in 2003, according to lawyers with knowledge of the results. Who cares about Manny Ramirez? Everybody already knows he’s a cheater and a prima donna manchild who will dog it on his own teammates to get his way. But David Ortiz? Big Papi? Say it ain’t so. Oh, sure, the evidence was there. Anyone who watched him hit in Minnesota and then watched his complete turnaround as a hitter in Boston had to wonder. Was it enough to point to how much he’d drastically altered his swing once starting for Boston? Was it enough to chuckle when he told us that the only drugs he ever took were beans and rice? Was it worth it to ignore just how massive he was in Boston, how he became the ‘Big’ part of ‘Big Papi’? Could we just pretend all that wasn’t there because he seemed like everything that was right about a player- that he was a guy who’d put the whole city on his back with a twinkle in his eye, a gleaming smile and a swing like thunder? Well, yes. Yes, it was. Papi couldn’t be that kind of guy. He’s Papi, for God’s sake. Well. We were wrong. And whether you believe his story that he had no idea he’d ever tested positive and doesn’t know how he could (even if you buy his cover that he may have bought some energy products from the Dominican in his youth) have tested positive for anything, or whether you so desperately want to believe this couldn’t be true, it is. Sure, nobody knows what he tested positive for yet. Sure, it was six years ago and there wasn’t a policy and accidents happen (just ask JC Romero) and blah blah blah excuses excuses. You know who else tested positive in 2003? Barry Bonds. Alex Rodriguez. Sammy Sosa. Manny Ramirez. Jason Grimsley. Not exactly innocent company.